Z’Tejas Southwestern Grill is excited to announce its contribution of more than $90,000 to local nonprofits since it began Cornbread for a Cause in December of 2015. 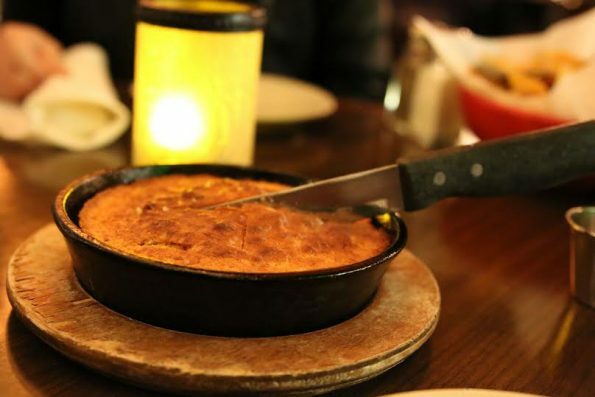 The restaurant group’s corporate giving program chooses local organizations in Arizona and Texas that benefit each quarter from proceeds of sales of its famous, freshly baked Z’Tejas cornbread. Those organizations that have benefitted in the past include Phoenix Children’s Hospital Foundation, Dell Children’s Medical Center of Central Texas , Scottsdale Active 20-30 Club and Cheyanna’s Champions for Children. Most recently, $17,912 was raised for Military Assistance Mission in Arizona. From July 1 through September 30, a portion of the cornbread proceeds from Z’Tejas’ five Phoenix-area locations will go to Arizona Animal Welfare League & SPCA (AAWL). AAWL & SPCA is the largest and oldest no-kill shelter in Arizona, celebrating its 45th year in its mission to create a world with no homeless dogs and cats. AAWL rehabilitates and re-homes more than 4,000 dogs and cats annually that are abandoned or that have been surrendered by their owners through adoptions at their main campus and their store in Chandler Fashion Center. All pets offered for adoption have been spayed or neutered; micro-chipped, are current on all vaccinations and come with a lifetime return guarantee. Supported by over 500 volunteers and 150 foster families, AAWL continues to make a difference in people and pet’s lives in Arizona. For more information on Cornbread for a Cause or Z’Tejas, visit Ztejas.com. Launched in December 2015, Z’Tejas Cornbread for A Cause is the restaurant group’s corporate giving arm. Its mission is to raise funds for charitable organizations that help people in the communities that Z’Tejas serves. Funds are raised through proceeds from sales of Z’Tejas’ famous, freshly-made cornbread.